Basic principles of equity, and frankly commonsense, would suggest not. 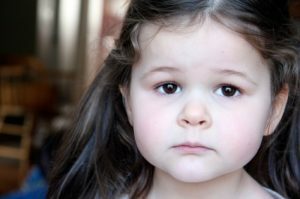 Until recently, however, there has been some debate about whether the process and procedures applicable to New Jersey parents litigating child custody issues as part of a divorce proceeding (under the matrimonial or “FM” docket) should differ to those applied to parents litigating those very same issues but who were never married (under the non-dissolution or “FD” docket). Enter the January 2, 2019 reported (i.e., precedential) New Jersey Appellate Division decision in J.G. v. J.H. At its most basic level, the Appellate Division decision in J.G. v. J.H. confirms that all contested custody actions should be accorded the same, or a similar, process and be assessed under the same legal standard. If child custody is an issue, trial courts are obligated to apply and make decisions based upon the best interests of the child standard, analyzing the factors set forth in N.J.S.A. 9:2-4(c), regardless of the parent’s marital status or the type of docket (FM, FD or otherwise).